It is very difficult trying to find the perfect solution for your IELTS preparation. A lot of the study guides are geared toward certain sections or subjects on the exam, and some are an overview of both types. There are so many different options. The IELTS is a very difficult exam, and it plays a huge part on your future. 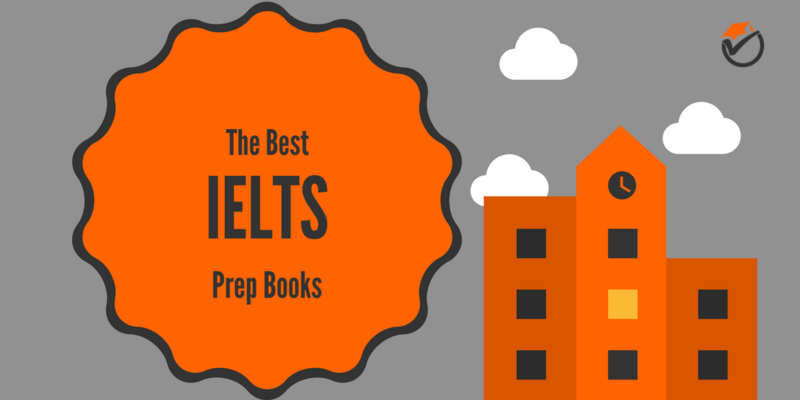 Because of these reasons I have created this list of the best IELTS prep books. All of the info below should make it very easy to choose which study guide is right for you out of those recommended. The Official Cambridge Guide is our best overall study guide on our list of the top IELTS prep books. This prep book is a very good guide to learn what to expect on the exam. It thoroughly goes through each section of the test so that you are not surprised what is to come on exam day. You won't be scratching your head on exam day because you did not know what is coming. The Cambridge Guide is the only official guide made from the actual test writers. This means that the sample exams and questions are very similar to what you will see on the actual exam. You won't be surprised on test day by question types that you have not seen before. This guide includes plenty of practice test and questions so that you will always have enough repetitions to be prepared for the test. One flaw that this prep book has that it does not have enough concept review on the topics compared to other prep books. 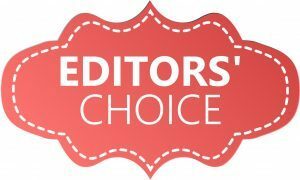 If you are looking for in-depth concept overview, you may need to purchase a supplemental review book. 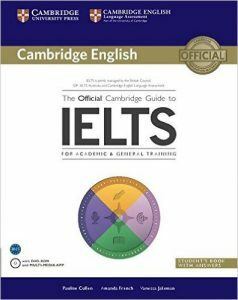 The Official Cambridge Guide to IELTS is our top choice on our list of the top rated IELTS prep guides. Barron's IELTS Superpack is our second best overall study guide bundle on our list of the top IELTS study books. This “superpack” has very good theory reviews on reading, writing and speaking. In all of these sections you will learn everything that you need to know for the exam. The review is very exhaustive and comprehensive and everything from concepts to test taking strategies will be covered. You won't be flabbergasted on exam day by topics that you have not studied for. There are also an abundant amount of practice questions and exams in this study guide bundle. You certainly will not be worried about having enough problems to practice with. One weakness with Barron's is that the listening practice test examples are somewhat different from the actual test. This may make you somewhat surprised on exam day when you see the different questions on the actual test. Another flaw with Barron's is that some of the practice exam questions are of lower difficulty than what you will see on the actual exam. It is not a very good feeling to be overconfident from easy practice questions and be let down when you see questions with higher difficulty on test day. 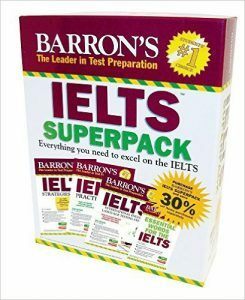 Because of these flaws, Barron's Superpack is our second best overall study guide bundle on our list of the top IELTS review books. Target Band 7: Academic Module is our top overall IELTS book for the academic module and also a best value pick. Even though this prep guide, at 92 pages, is very short, it is very concise and to the point. You do not waste time learning things that you do not need to know for the exam. Because of its conciseness, it is very good for time-strapped test takers. Every single technique and tactic in the book is focused on maximizing the student’s score on every section of the exam by growing their task-solving quickness and proficiency. It will also prepare you for the ways that the test makers will try to trip you up on the exam. Because of these exams strategies, you won't be tripped up over basic questions where they try to trick you. The one main flaw of Target Band 7 is that there is not a super in-depth review. This book is very good for students that already have a decent grasp on the English language and are looking to quickly increase their score into the band that they would like to achieve. 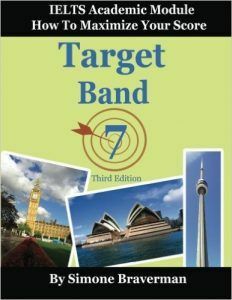 Target Band 7: Academic Module is our best overall IELTS prep book for the academic module and one of our best value picks. 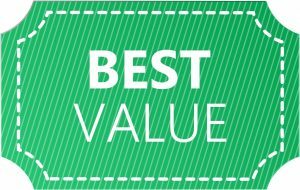 Ace the IELTS: General Module is our top choice for the IELTS general module and also a best value pick. The book is very well laid out and has a well-documented procedure for tackling the test. This process really increases your confidence and eases your nerves for exam day, helping to increase your score. At only 90 pages, this prep book is very short but it does not waste your time. You only learn the things that you need to know for the test and nothing more. Your brain is not filled with information you do not need to know. The practice question difficulty is also up to snuff. The higher difficulty questions prepare you for test day so you won't be surprised with more difficult questions. The one weakness with this prep book is that there is no exhaustive overview of the subjects. This book is more geared towards students that already have a good grasp on the English language and that are just looking to quickly increase their exam score. 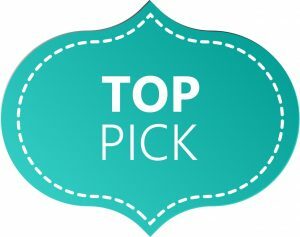 Ace the IELTS is our top pick for the IELTS general module and also a best value pick. 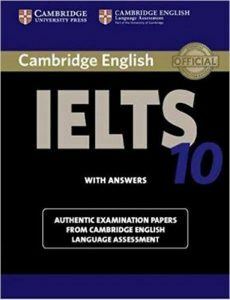 Cambridge IELTS 10 Student's Book with Answers is our 5th best study guide on our list of the best IELTS study guides. This study guide contains real and authentic practice exam questions from the writers of the actual exam. This means that the problems and practice quizzes capture the actual difficulty of the questions that you will see on exam day. You will not be shocked on test day by questions that are more difficult than what you have studied for. Since this book is geared towards sample questions and answers, there are plenty of rehearsal tests so you'll never run out of things to prepare with. The one main weakness of Cambridge is that there is no exhaustive review. Since this book is geared towards test questions, they leave out a lot of the review that you need if you are not as proficient in English. Cambridge is our 5th best study guide on our list of the best books to prepare for the IELTS. Buy The Official Cambridge Guide if you are looking for the best overall study guide and do not care about price or length. If you are looking for something shorter and cheaper that focuses on the academic module, then pick up Target Band 7: Academic Module. 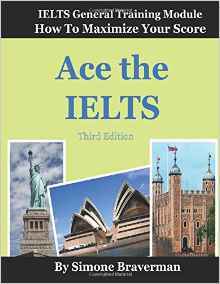 And, of course, if you are looking for a study guide that focuses on the general module, then pick up Ace the IELTS: General Module.